Rotary Club of Calgary North's 2018-2019 YEX Student from France has arrived and our 2017-2018 YEX Student is settling back in in Sardinia. 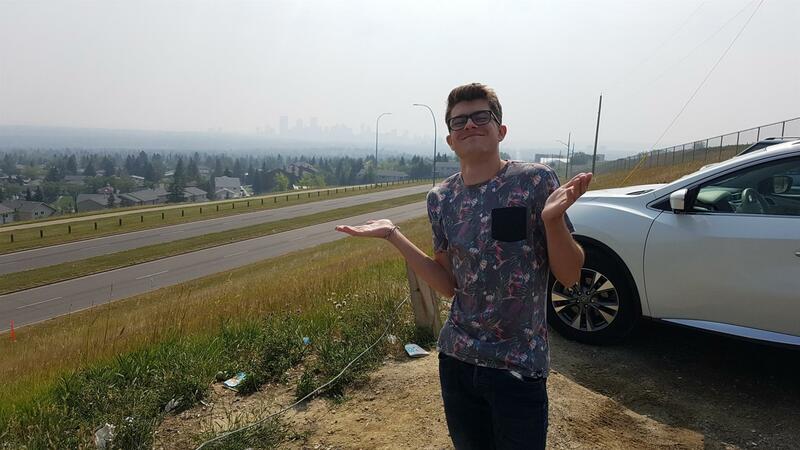 This Stefan on his first day in Calgary attempting to get a view of downtown Calgary. Unfortunately, it was still a tad smokey at that time. The other picture is Michele back home and purchasing a suit for his sister's wedding. Watch this space for more information on Stefan, his background and his time in Canada and news from YEX alumni.